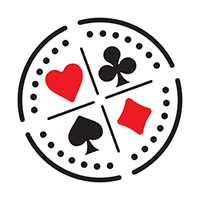 Poker has evolved so much since the start of the poker boom - the mass adoption of online poker, which was in some part triggered by an everyday guy winning the World Series of Poker. In the early-2000s, players were easily able to practice and refine their poker skills online and then take them to real-world tournaments and have a chance of success. But as more people have joined in with this trend, is it still as easy for an amateur player to make it all the way in the ultimate competition? At the time of Chris Moneymaker’s $2.5 million win in the 2003 WSOP, there were only 839 players in the tournament. But when this unknown entity managed to take on and beat the pros, many more people were inspired to get involved the next year. In fact, the number of entrants suddenly shot up to 2,576 after having previously never breached 900. Prior to Moneymaker’s win, the list of Main Event champions was made up of well-known professionals who played poker as a career. In the years since, though, there have been various winners of the Main Event who have risen up from nowhere to take on the best in the business. Other notable “nobodies” who have gone all the way at the WSOP include Peter Eastgate, who won the 2008 competition after having qualified through an online poker website. He won almost $10 million and at the time was the youngest Main Event champion in the tournament’s history. His crown was snatched from him the following year, however, when Joe Cada prevailed at the age of 21. Cada had played at the WSOP before but was also fairly new to the poker scene when he claimed the jackpot in Las Vegas. Scott Blumstein won the 2017 competition, and he was also relatively unknown. The American accounting graduate had been plying his trade online for some time while at university, but the WSOP was his first stab at a major tournament. These case studies should fill other amateur players with hope that it’s still possible to make it in these paramount contests. But as the game has evolved, the range of skills that players need has also expanded. Now, even the poker pros branch out from playing Texas Hold’em to partake in other games which can help to improve their skill. Betting on different games can help to improve an understanding of odds. For instance, some poker players like Will Kassouf enjoy a game of roulette. Betting on a street or single number in that game provides a range of different odds similar to betting on hands in poker. Phil Ivey plays baccarat in his free time for the same reasons. Daniel Negreanu has been known to play Hearthstone to improve his tactical skillset. These are all games that hopeful poker players should consider learning. It is still possible for amateur players to make it to the final stages of the WSOP, but they should take into consideration the fact that those who have done it more recently have a broader skillset than those of the past. Playing other gambling or strategy games can put you at an advantage.